Book our organised tourpackages! Most of them with full board. 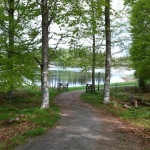 Enjoy birdsong, the smell of the forest and the beautiful countryside while hiking or riding a bike! Book our comfortable full-board package which includes almost everything. Stay in a comfortable double room, where the beds are made and cleaning is included. After a day with outdoor activities, just sit down and enjoy a good meal. If you book a package through us, an "Accident and lost insurance" is included. 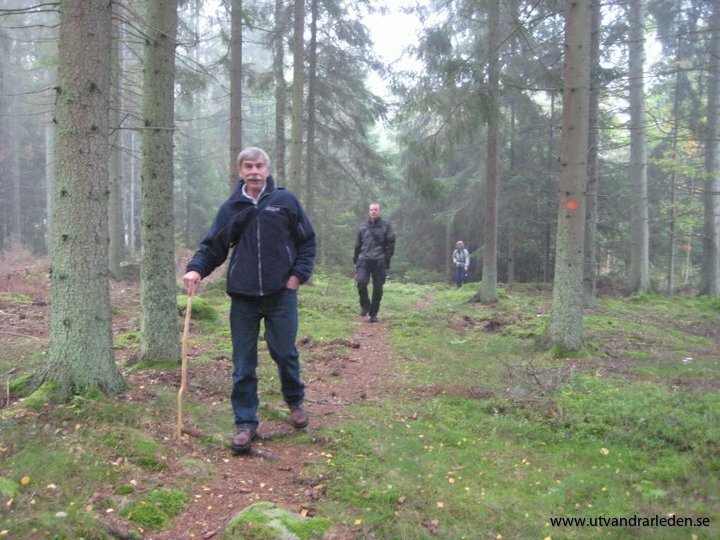 Karl-Oskar: 3-days hiking package with full board (15-20 km/day). Read more! 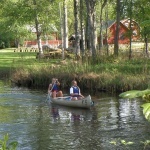 4-days tour, with full board: This is a unique package which includes hiking, cycling and canoeing. 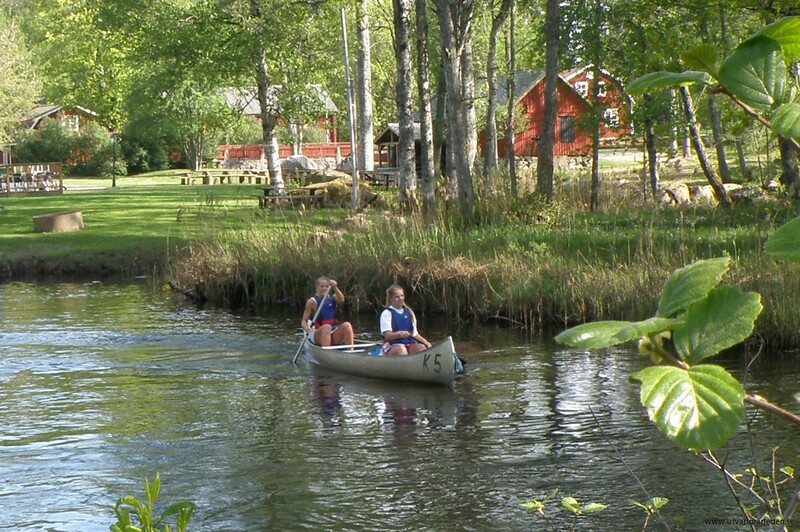 You will experience the beautiful Småland countryside from various different perspectives. There are lots of bathing opportunities along the route. 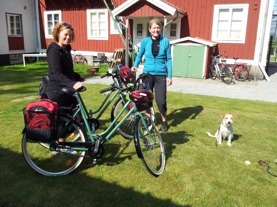 Robert: 3-days bicycle tour with full board (25-40 km/day) Read more! Kristina: 3-days bicykle tour with full board, light (15-20 km/dag) Read more! 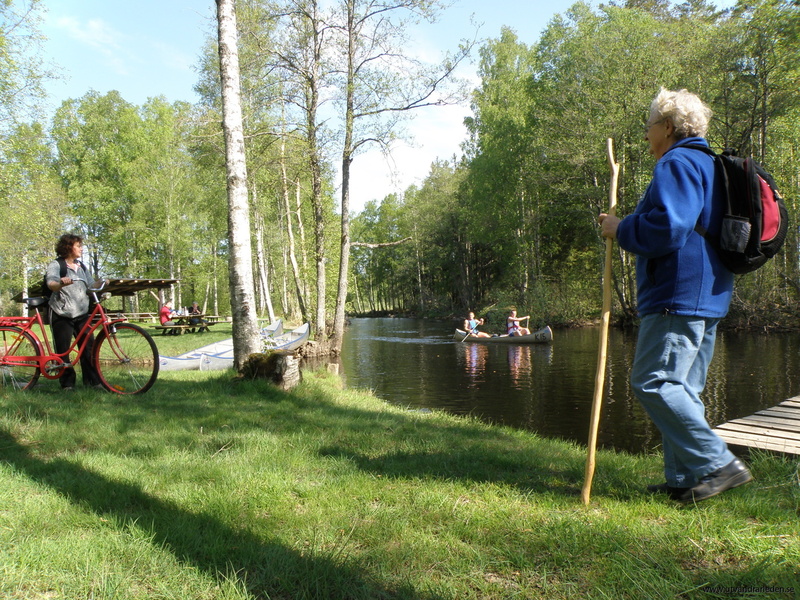 Raskens: 2-days bicycle tour with full board, longer distanses (ca 60 km/dag) Read more! 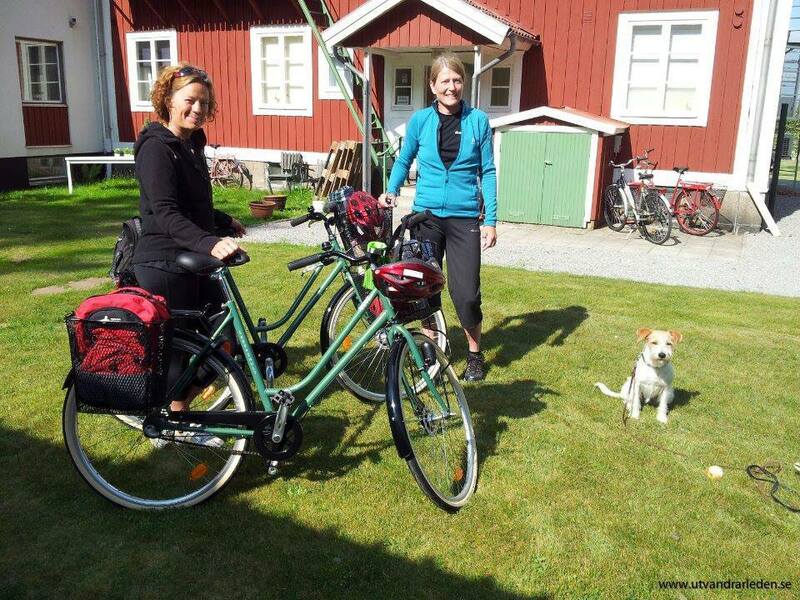 2 days biking in Långasjö: Book package with 2 nights in STF Hostel Långasjö. Experience the beautiful scenery of the area from the bike. Read more! The packages can be booked from mid-April to the end of September , or as long as weather permits. It´s also possible to put together your own package, please book the accommodation and your prefered facilities. Remember to pack light and bring clothes for any weather. When hiking, good hiking shoes or boots are recommended. Book our comfortable full board package, with almost everything included. Stay in comfortable 2-bed room, where the beds are made and cleaning included. Dinner included 3 nights. Arrival to Långasjö Hostels, check-in between 5-6 pm, you get map and trail description. Dinner at 6 pm, overnight, embedding and cleaning included. Breakfast in Långasjö Hostel, lunch packege (picked from the breakfast buffet). Walking from Långasjö Hostels to Moshult Hostel about 18 km. Dinner at 6 pm, overnight, embedding and cleaning included. Breakfast in Moshult Hostel, lunch package (picked from the breakfast buffet). 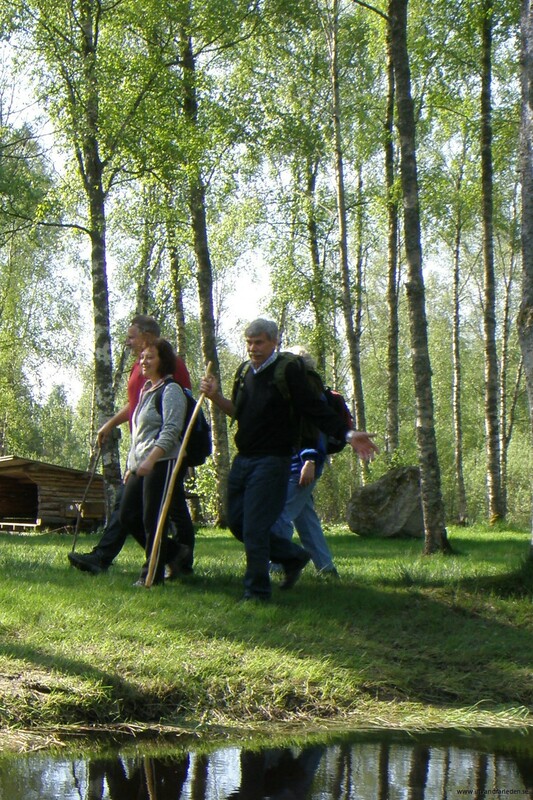 hiking Moshult- Grimsnäs Manor, about 15 km. Dinner at 6 pm, overnight, embedding and cleaning included. Breakfast in Grimsnäs Herrgård, lunch package (picked from the breakfast buffet). 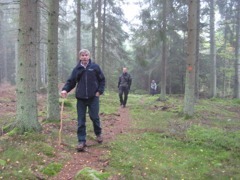 Hiking Grimsnäs- Långasjö about 15 km. Departure. You must be at least 2 people who book, comes in a double room. Check in to Moshult Hostel, receive map and route description. Dinner at 6 pm, overnight, embedding and cleaning included. 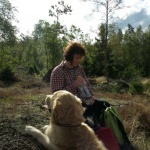 Breakfast in Moshult, lunch package (picked from the breakfast buffet, withextra fruit, drinks and snacks) hike to Grimsnäs Herrgård about 15 km. Dinner at 6 pm, as well as accommodation, embedding and cleaning included. Breakfast in Grimsnäs Herrgård, lunch packege. 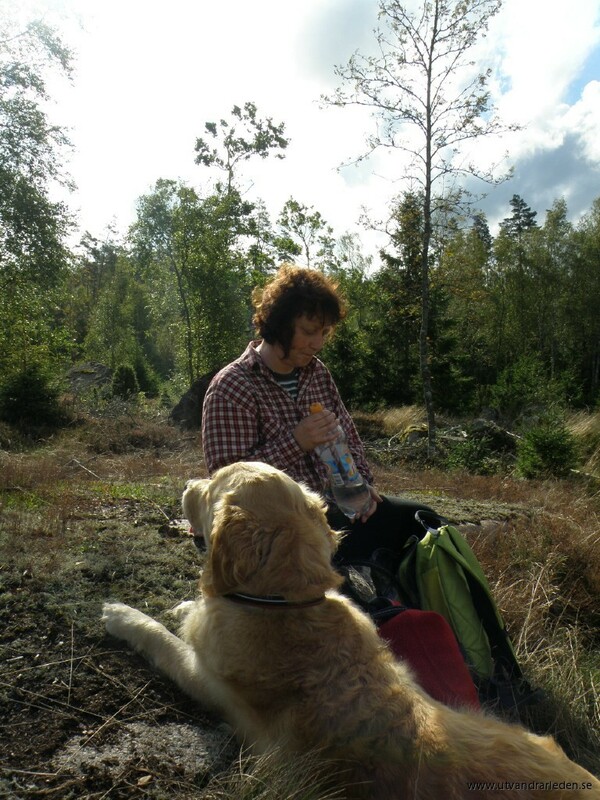 Hiking to Korrö (about 18 km), dinner at 6 pm, overnight, embedding and cleaning included. 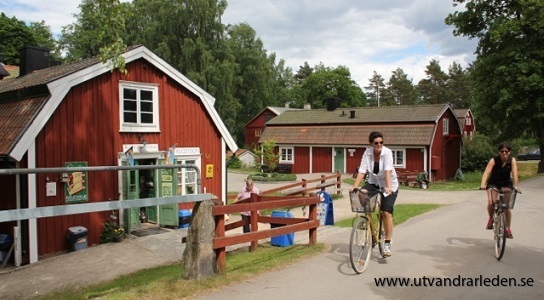 Breakfast in Korrö, lunch package, canoeing (about 2-3 hours), lunch and cycling to Långasjö (about 20 km). Dinner at 6 pm, and overnight, embedding and cleaning included. Breakfast in Långasjö Hostel, lunch package. Hiking to Moshult, (about 18 km). Departure. 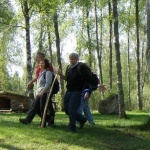 The package is suitable for smaller groups, also for families with children, from 2-20 participants. Bring good hiking shoes and clothes for any weather. Preferably own thermos. 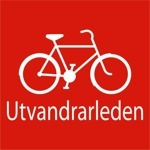 Luggage transport: 500 sek / transport, 2000 SEK for transportation 4 days. 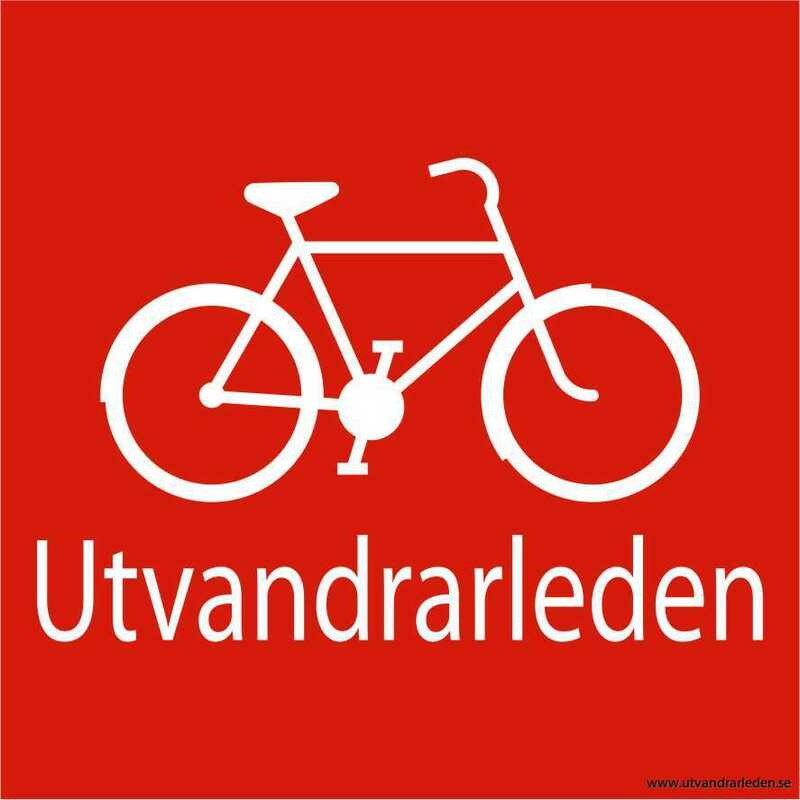 Enjoy the nature of Sweden, while riding a bicycle! Book our comfortable full board package, whith almost everything included. Stay in comfortable 2-bed room, where the beds are made and cleaning included. Dinner is included 3 nights. 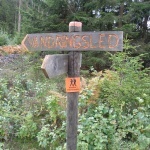 Arrival at Grimsnäs Herrgård, check-in before 6 pm, get your map and trail description. Dinner at 6 pm, overnight, embedding and cleaning included. Breakfast in Grimsnäs Herrgård, lunch package (picked from the breakfast buffet). Bike Grimsnäs-Långasjö Hostel about 40 km. Dinner at 6 pm, overnight, embedding and cleaning included. Breakfast in Långasjö Hostel, lunch package (picked from the breakfast buffet). Bike Långasjö-Korrö, about 23 km. Dinner at 6 pm, overnight, embedding and cleaning included. Breakfast in Korrö, lunch package (picked from the breakfast buffet). Bicycle Korrö-Grimsnäs about 25 km. Departure. Experience the chirping of birds, the forest smells and the beautiful scenery, while riding a bicycle! Book our comfortable full board package. Breakfast in Grimsnäs Herrgård, lunch package (picked from the breakfast buffet). Bike Grimsnäs-Moshult Hostel about 20 km. Dinner at 6 pm, overnight, embedding and cleaning included. Breakfast in Moshult Hostel, lunch package (picked from the breakfast buffet). Bike Moshult-Långasjö, about 20 km. Dinner at 6 pm, overnight, embedding and cleaning included. Breakfast in Långasjö hostel, lunch package (picked from the breakfast buffet). 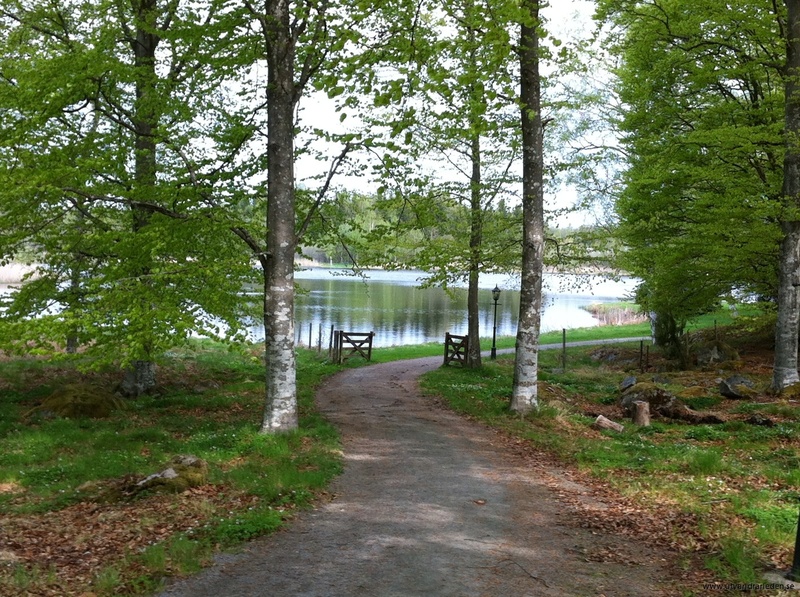 Bicycle Långasjö-Grimsnäs about 15 km. Departure. This is suitable for those who want to cycle longer distances per day. Arrival Långasjö between kl 5-6 pm, get yuor map and trail description. Dinner at 6 pm, overnight, embedding and cleaning included. Breakfast in Långasjö Hostel, lunch package (picked from the breakfast buffet). Bike Långasjö-Korrö, about 63 km. Dinner at 6 pm, overnight, embedding and cleaning included. 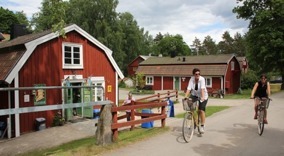 Breakfast in Korrö, lunch package (picked from the breakfast buffet), continue cycling along the Emigrant trail to Långasjö. about 60 km. 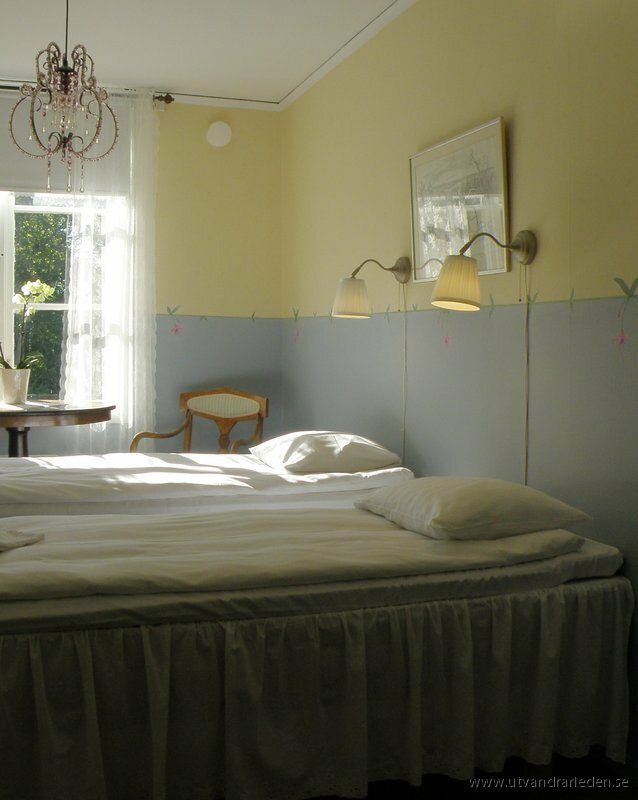 Book a package with two nights at STF Hostel Långasjö. Explore the beautiful surroundings while riding a bicycle. Price per person in double room or part in the quadruple family. a map with several bike tours of varying length. Choose your desired tours. 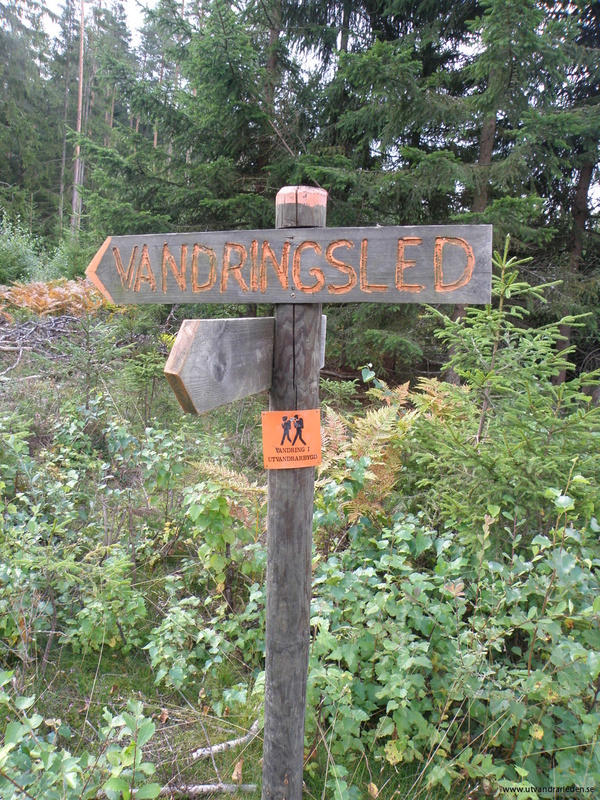 (Note: these tours only go around Långasjö not along the utvandrarleden trail.) The tours go to the larger part on gravel roads and small stretches of asphalt roads. The bikes are new, 3-speed Skeppshult bikes, helmet included. 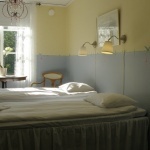 Please bring your own bed linen or rent on site (80 SEK / set)! Accident and lost insurance is included when you book our packages. This insurance means that if you get lost, get a flat tire, or harm you, you just contact us and we will help you / pick you up.